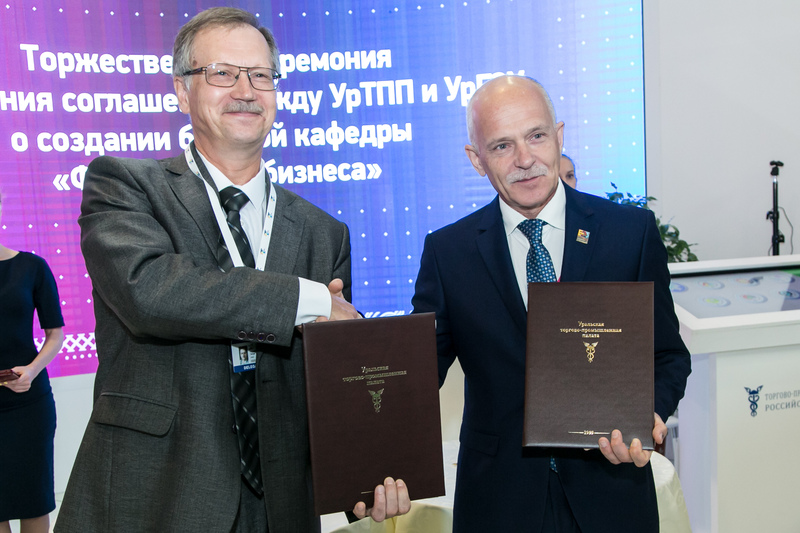 The agreement provides for the participation of the Ural CCI in the final certification, internships of students and faculty members, and in the University research. 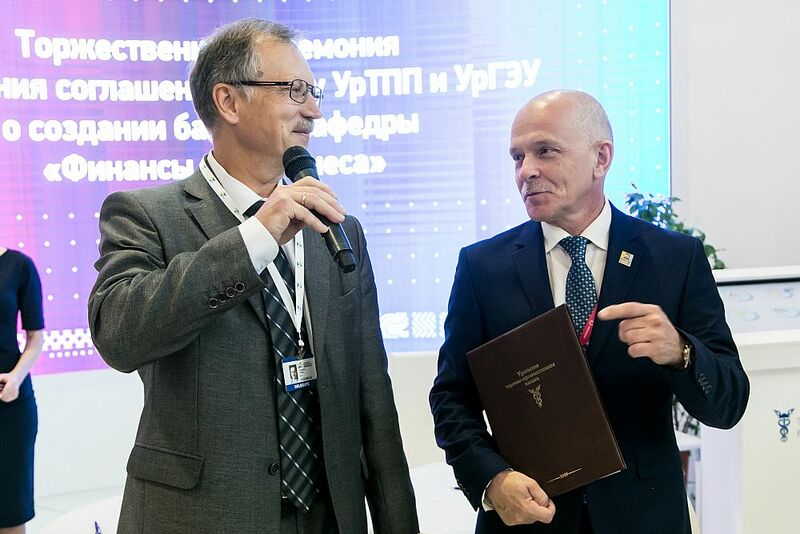 The document was signed by the president of the Chamber of Commerce and Industry Andrei Besedin and Vice-Rector for Academic Affairs and Quality of Education Sergei Rogozhin. “In the package of services to support our Ural business, the Ural Chamber of Commerce has mastered and very successfully helps enterprises receive state support measures at the regional, municipal and federal levels. Cooperating with the permanent partner of Ural State University of Economics, we also use modern financial models of business management and we realized that our competencies should be joint. So we decided to set up a joint specialized Department of Finance for Business,” Alexander Makarov, vice-president of the Ural CCI, told about the prerequisites for the presence of the document signed. 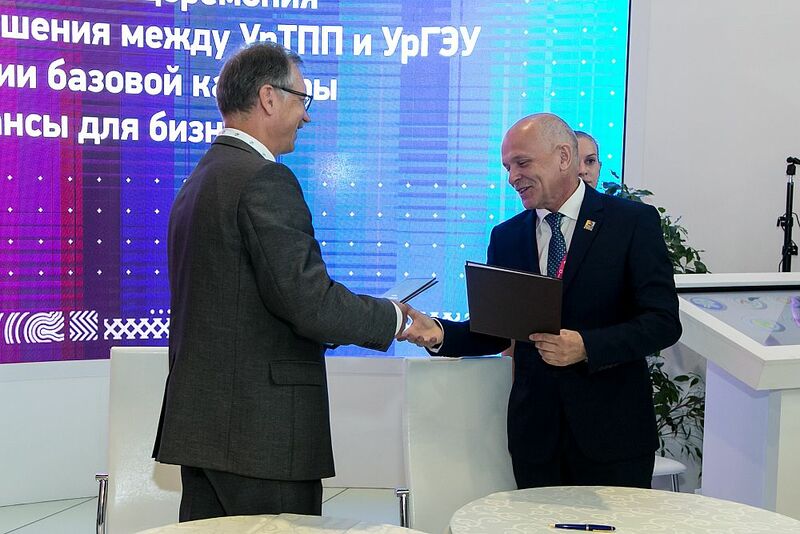 "The launch of a new project will allow the business of the Middle Urals to receive the qualified competent assistance, support, and knowledge in finance." The chair of the USUE Department of Financial Management Elina Zakirova called the agreement useful and allowing to narrow the gap between the educational process and the real sector of the economy because experienced CCI practitioners will conduct the scientific and practical seminars for students. 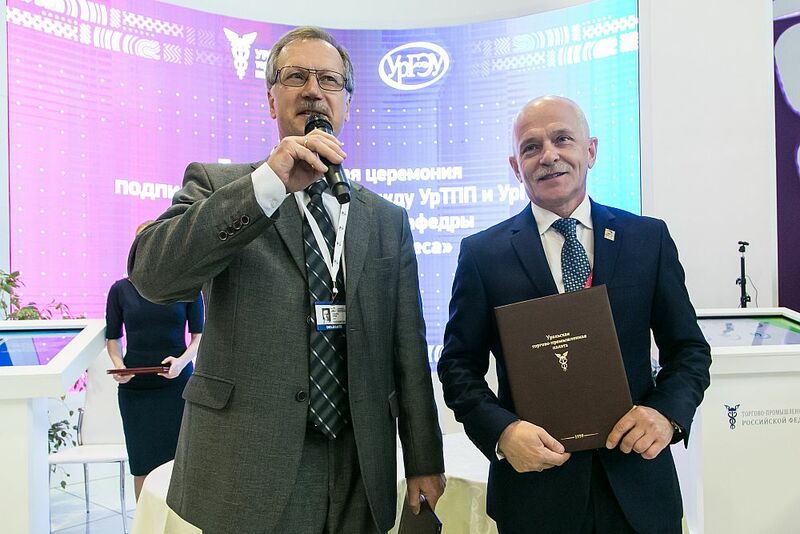 Sergei Rogozhin noted that the University had been cooperating with the Ural Chamber of Commerce for a long time. Vice president of the Chamber of Commerce and Industry is a USUE graduate and its former vice-rector. Many employees of the Chamber take part in the educational process; they are members of the State Examinations Commission. University faculty members and students regularly visit the Chamber of Commerce and Industry, study interaction within the Chamber, and take part in master classes. "Today, the next stage of this cooperation begins. With the organization of the specialized Department of Finance for Business, it is important for us to fill the training system with a practical component. Certainly, the University's research capabilities will also be of use to the CCI," Sergei Rogozhin said. Andrei Besedin also stressed in his speech that the Agreement lays the foundation for a good prospective project since the training system should come closer and closer to practice. "Thus, the University will graduate professionals as much as possible prepared for the realities of life," he said. “By this agreement, we have added one more page to our joint history of both strong friendship and the implementation of major international and youth projects. We have many new projects ahead."